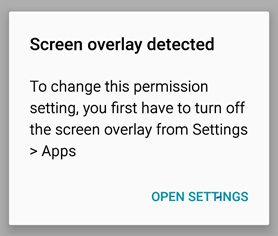 Android 6.0 (Marshmallow) and 7.0 (Nougat) users periodically encounter a Screen overlay detected error, which occurs when you trying to set permissions for the applications. 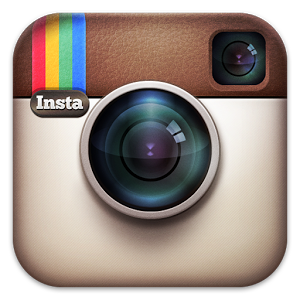 The error usually appears during the first launch of a new installed application. 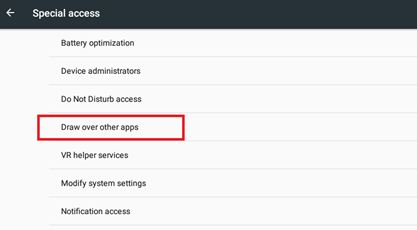 On this step, Android typically asks for various permissions for the application, which include access to the device’s file system, camera, geolocation, and the ability to work on top of other windows. What is Screen Overlay Detected Error and How to Fix It? 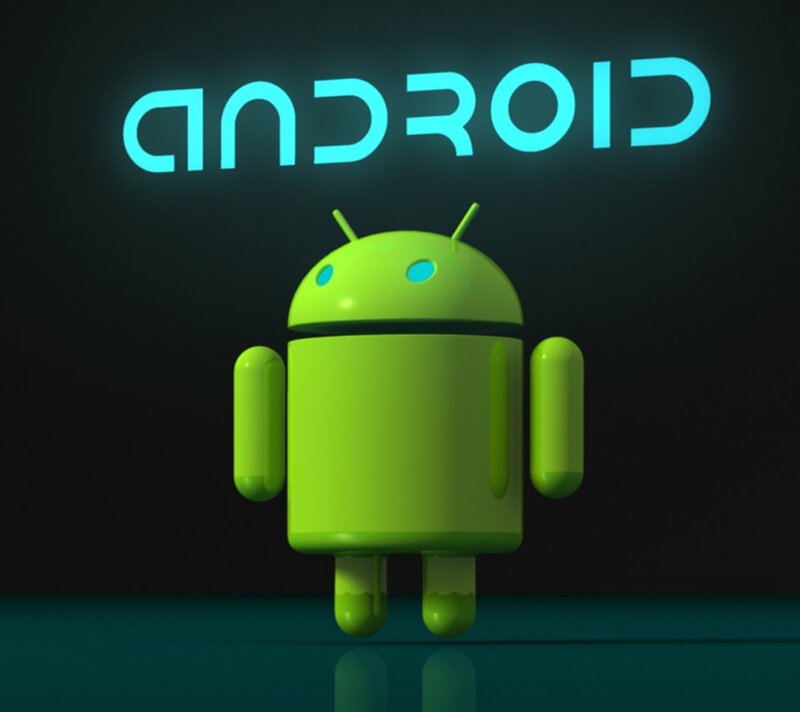 There is a conflict between the installed applications, which leads to the fact that Android cannot set permissions for the new application, and the app could not start because of this. In this case, the device displays the message Screen overlay detected with the Open Settings button. This problem is related to a new feature that appeared in Marshmallow and Nougat Android versions. This function allows some programs to overlay other applications. This is not a multi-window mode, when the screen is divided into several active areas, but the mode of working with applications, similar to how you work with windows in Windows and macOS (placing them on top of each other). To avoid the risk of spoofing, you are encouraged to first disable the overlay for the apps that use them, and then grant permissions that request a new application. To fix the error, you need to disable the overlay permission for the application that causes the problem. At the same time, the problematic app (not the one you are running before the “Overlap detected” message appears), but the one that was already installed before it (this is important). The message about the problem offers you to move to the overlay settings immediately (or you can manually go to Settings -> Apps -> press on a wheel on top right corner). Select Special access -> Draw over other apps option. You will see a list of installed applications. Disable the overlay for applications that can cause a problem. It’s best to disable it for all third-party applications that you’ve installed yourself, especially recently (those that were not preinstalled on your Android device). You can disable overlay by selecting an app and disabling the option Permit drawing over other apps. Run the installed application again. If after that the error disappeared and you are lucky enough to grant the necessary permissions to the application, you can re-enable overlays in the same menu (often this is a necessary condition for some useful applications). If the “Screen overlay detected” error does not allow you to grant the permissions to some application, and there is no time to deal with all installed applications, restart your device in Safe Mode. To do this, hold down the power button, when the menu appears, hold your finger on “Power off”. After booting in safe mode, go to Settings -> Applications, find the desired application and manually grant it all necessary permissions. After that you can reboot your device in normal mode. How to get rid of com.android.snap error virus?